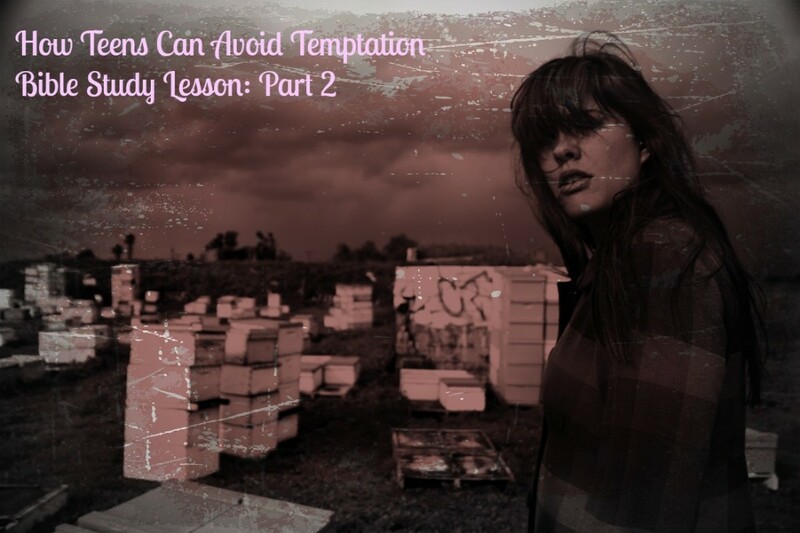 Welcome to Part 2 of the How Teens Can Avoid Temptation Bible Study Lesson. If you missed Part 1, be sure to check it out here. We left off with the question: “Why do kids party recklessly and get into unhealthy romances?” Now you’ll go into the various reasons. LetÊ¼s look at a few reasons. WeÊ¼re all in phases of development. I am; so is my mom. Yours starts with differentiation from parents. It means that, sometimes around the age of twelve, you came into the knowledge that you are truly separate from other family members, and you want to step out as an individual rather than as someoneÊ¼s child. But differentiation is weird in that, while giving up trust with parents, kids build up twice as much reliance upon each other. You are in the passage where it is most difficult to resist temptations presented from you peers. Have you ever noticed in school how groups of kids look very much alike? Their hair color might be different and they may be shaped differently from each other. But sometimes in the mall, you see kids going past, and from their makeup to their jeans, they almost look like clones. You will come into a passage around the age of nineteen where you say, “IÊ¼m me, and others are others.” Generally, you have to learn how to be alike before you can learn how to be different. But “being alike” puts a lot of pressure on people, often involving not just appearances but choices, including drinking, drugs, sexual behavior, etc. There is not an adult in the world who envies you this situation. Adults are much more sane.Where does God come in to all of this? How does He help you to look back and say that these were your best years, and not your worst – that they were not wasted? First of all, He doesnÊ¼t want to add to all that pressure. He wants to take away the pressure. He wants to give you back your sense of royalty when youÊ¼ve been feeling like a number. When others give you the message that youÊ¼re not measuring up, He takes the yard stick and throws it away. YouÊ¼re His, and thatÊ¼s all that matters to Him. He can change hearts, if people put Him on the throne of their lives – if they give their life to Him. Thousands of kids who give their lives to Christ every year attest to these changes of heart. They see the parties, the smoke-filled rooms, the falling down drunks, the loadies, and suddenly”¦they just donÊ¼t want to be there. Instead of thinking falling-down-drunk girls are funny, they feel sorry for them. They donÊ¼t like the smell of puke or cigarette smoke, and they certainly donÊ¼t like being flirted with by people who are acting out of their minds. You canÊ¼t change your own heart. But Jesus can. Go to sleep asking Him to, and you may feel a difference already when you wake up. 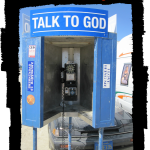 Teenagers who are Christian attest to asking for GodÊ¼s protection, and strange things start happening. People who were pressuring them to party like mad suddenly just didnÊ¼t seem to be around so much. They were suddenly focused on other people. God put new friends in their paths who are funnier, smarter, better listeners, more loyal. 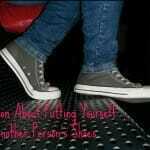 Cars got flat tires when taking a Christian kid to a hazardous hangout”¦etc. Actually, attempts at a social life are distracting kids from Him, but again, teenage Christians attest to suddenly being struck by the important questions: WhatÊ¼s my purpose on planet earth? Why do we go through death, and whatÊ¼s on the other side? What are my talents? How can I use them to make the world a better place? What can I become really good at? can.) ItÊ¼s insignificant in comparison to what awaits if we donÊ¼t give into temptations now. (Bring out the big bag of candy. Give the first choice to the kid who had to sit with his face at eye level with the M&Ms.) Help yourselves, good and faithful servants. In small groups, letÊ¼s look at ways to “stay gold” or be in the world of high school but not of it. 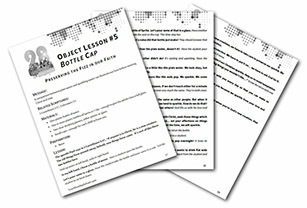 The next part of this teen lesson will focus on a small group discussion that you can lead with your students to wrap up this activity. What do you think? 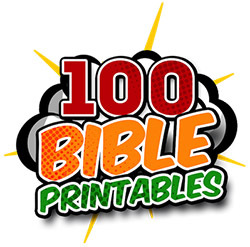 Will this Bible study lesson strike a chord with some of your teen ministry students? Is this a teen lesson that you’ll be adding to your lesson plan?